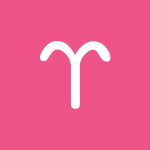 October 2018 Monthly Horoscope Summary for Aries: Relationships are a major focus this month, dear Aries. All inner planets are in relationship sectors in your solar chart this month, although some are in your intimacy sector and this can boost your relationship with yourself just as much as an intimate connection. Mind you, Venus, the goddess of love, is retrograde from the 5th forward, and complications are likely. You may be rethinking your needs or those of a partner and dealing with debts from the past, too, since Venus spends most of October in your sector of shared resources. Take your time and don’t push matters. Go over your finances carefully, get counsel if needed, and avoid disputes over money. Fortunately, you’re likely to have some help. Recognizing the need for others is essential now, but avoid taking this point to dependency levels, especially given that Venus is retrograde and people can be a little distant emotionally. One of the best news for you in October is about Mars, your ruler, as it’s picking up the pace and getting back to its usual speed. This transit helps move things along after sluggish months and gives you at least the sense that things are moving ahead, even if retrograde Venus brings with it some delays. Your social life may have been on the dull side in recent months, and while the withdrawal or lack has not been a terrible experience for you, the liveliness that October and November bring to friendships may be quite welcome. Watch, however, for the drama level to rise too high, particularly with Venus’ charm and people skills not working up to par. The tendency to push too hard or for social blunders is particularly strong around the 10th and 19th. If current relationships are not satisfying your deeper needs, there can be reactions now. The New Moon the 8th is about a fresh start in a partnership or meaningful friendship. Alternatively, it’s about better understanding your relationship needs and taking charge of this area of your life. While it’s not necessarily a time to sweep matters under the rug, some care should be taken with all love matters this month, particularly those surrounding shared finances and intimacy with Venus retrograde in your intimacy sector in October and then from November 1st to 16th, in your partnership sector. October is a good month for redesigning your budget, but it’s not reliable for making big purchases. You could easily regret your purchases or relationship commitments later, so take the time to think about things before you leap forward. There can be upheaval or tensions related to money, possessions, or intimacy this month. A conversation may occur with a love interest or partner, but be aware that it can quickly spiral into unproductive patterns. Or, a conversation with a love from your past can be sparked up this month. If you receive further information about a past relationship, this can be eye-opening and help with closure. Even if things get nowhere or seem to go backward, it’s a necessary process for illuminating where you stand and what you will take forward with you into the future. A bit of detachment can help you. While you can feel a little in the dark about your feelings until the 25th, after this date, new awareness and possibly the beginnings of a plan of action emerges. Intimate relationships can benefit from a fresh start or vision as you have recently redefined what you want and need from others, as well as what you expect from yourself. The Full Moon on the 24th can serve as a wake-up call about taking charge of your finances. With Jupiter on the last leg of its journey through your solar eighth house (it will move onto your adventure sector on November 9th), you may want to take full advantage of its powerful aspects at the end of October. This is a time for facing fears and breaking through taboos and can be a great time for receiving support or getting help. You can experience a real sense of joy through intimacy with someone special, or experience an emotional breakthrough of your own. You might experience a release from a private burden or a debilitating secret. There can be circumstances occurring now that allow you to put a past matter that has had a strong hold on you, behind you. Let in the positive energy now, and make room for new opportunities. 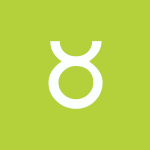 October 2018 Monthly Horoscope Summary for Taurus: Work and health matters are busy this month, dear Taurus, although relationships can be on the tricky side with Venus, your ruler, retrograde in your partnership sector from the 5th forward. This is a time for processing your feelings, and nobody should be pushed into making decisions now. The New Moon on the 8th brings a charge of energy to your sector of work, health, and habits, and you’re in a commanding position for fresh new starts in these areas of life, although not everything will get off the ground as planned. Mentally prepare for delays. 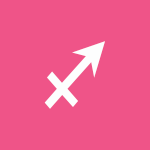 Mars picks up the pace in your career sector, firing up ambitions, and focusing on your work can be satisfying in October. There is an increasing focus on partnership and relationship matters this month with quite a bit of activity in your solar seventh house, and personal needs or plans might frequently go to the back burner. This is a natural process, and it’s better not to fight it. Honor the important people in your life and play a supportive role. In fact, there can be mutual benefits involved. Complications are likely, and it’s probably better to maintain some level of objectivity as you sort through your feelings. Mars first moved to the top of your solar chart in May, but then turned retrograde and retreated into your solar ninth house. Some plans and projects that have their origins in May and June may have experienced delays or lags, but now you’re enjoying the release of blocks, particularly related to travel, education, and career. You are now building up momentum and more wholeheartedly pursuing your career and life path goals. This is a potentially ambitious time when you’re ready to step things up and shoot high. With Venus retrograde for most of this transit, however, you should watch for a too-aggressive approach. You can reach great heights but could be missing the mark just a little on a social level. Venus is not helping you in the usual way, and you might want to watch for this, particularly around the 10th and 19th. Venus is helping you on other levels, though — you’re looking back with new eyes, and you can come to a greater understanding of past relationships and projects in the process. October’s general tone is a bit on the serious or introspective side despite the fact that you’re in a relationship-focused cycle. This is primarily due to an emphasis on your work and health sector and the retrograde of your ruling planet, Venus. This is not necessarily about lacking confidence, but more about recognizing the need to look within for answers. Questioning your plans is likely–and necessary. A close partner may be distant or hard to read this month, and some disconnects in the love department are possible. These will begin to clear up later in November. For now, try not to push matters (or others). Give them space, and give yourself space as well. The 15th and 25th are key dates for getting closer to your true feelings about a relationship. Learning new things about a previous relationship can figure strongly. You might gain further insight into an old problem, or reconnect with someone from your past. Set intentions and goals that better reflect these redefined wants and needs, as well as your expectations of others from the 25th. Energies are compelling for a fresh start or turning point. The Full Moon on the 24th is personal, as it occurs in your sign! Uranus in your sign is involved, pointing to surprises and unexpected impulses. This lunation can bring a sudden revelation, and these can relate to your personal freedoms or attention to a partnership. If you’ve been working on auto-pilot, you might suddenly wonder why you’ve accepted restrictions and sidelines. Avoid abrupt moves, but listen to your emotions. New relationships started in October can begin with enthusiasm, but then quickly become complicated. Pour your energy into productive paths. Get started on a new health and fitness routine. Jupiter is on its last leg of its transit of your partnership sector and before it moves on November 9th, it connects beautifully with Mercury and Chiron, active in the final week of October. You can derive much joy from feeling part of a partnership now, and you could feel enlightened about a friendship or relationship. If you need to forgive and forget, this is a great time to do so. October 2018 Monthly Horoscope Summary for Gemini: There is a strong focus on both your sectors of play and work this month, dear Gemini, with the latter increasing as the month advances. You’re doing both well! Complications on the work front are very possible in October, however, with Venus retrograde from the 5th onward. Projects may stall or could be in need of review. Even so, this review is necessary and can lead to some very happy improvements, eventually! If you can swing it, working independently or setting your own pace on the job may be preferable with the social climate just a little chilly temporarily. Even so, your mood is playful, demonstrative, and affectionate for the most part this month. Granted, love relationships may not be exceptionally straightforward or warm, but your heart may need some time to sort things out anyway. Others are finding you charming although they can be hesitant, too. Although Venus is retrograde most of October (from the 5th forward), Mars is regaining its momentum after several months of either moving backward or sluggishly. This Mars transit helps to compensate somewhat and is, quite fortunately, traveling in harmony with your sign, guiding you through the month more smoothly than most other zodiac signs. It’s a time for breaking out of a routine or a rut. Mini getaways can be a breath of fresh air now. You are entirely on board for doing some experimenting, too. Early October is strong for love relationships, flirtations, and your social life, as well as for your spirits! The two principal reasons for this positive outlook are the New Moon enlivening your creative sector on the 8th, and Mars picking up speed in your adventure sector. While work, self-care programs, and health demand more than the usual attention, it’s a fine time for enjoying yourself and breaking free of the usual constraints, too. New adventures and experiences can suddenly seem desirable after many months of keeping things on the down-low. Creativity is stimulated, and some of you could be picking up a new hobby or breathing new life into an old one. Work and health matters grab your attention increasingly as the month progresses, although this has been the case to some degree all year with Jupiter in your solar sixth house. You’re coming to the end of this fortunate transit, and you should take full advantage of the opportunities presented to you this month, particularly around the 27-31. You might benefit from a solution or method that improves health or work. Good humor and a visionary, progressive approach help you to heal and more thoroughly enjoy the work you do or connect with a sense of purpose. Others want to hire you or seek your services with your genuine, humbly confident approach now. Particularly around the 10th and 19th, watch for some impulsiveness. The assertiveness of direct Mars clashes with the retrospect, passive approach of retrograde Venus, and this comes to a boiling point on the 10th. Actions may seem provocative. Around the Full Moon on the 24th, you receive a clear message to look within, get some rest, and listen to your inner voice. You may need a small hiatus from daily pressures and demands. If you’re encountering slowdowns, delays, or reversals in projects or waiting games revolving around health or your job, try to be as patient and understanding as you can. Look back at old jobs, projects, and even co-workers for insight. Going over past errors or problems is likely on the job. You can feel a strong desire to produce, but also a strong desire to pull back this month, and it’s vital that you keep things moderate. Some things may feel a little hollow to you now, prompting some re-examination. You’re learning new things about old problems, mainly related to work, health, and relationships. From the 25-26, you might experience an attitude change in light of recent revelations. Seeing where you may have been tripping up or chasing the wrong things in the past can be part of this. Brand new beginnings in the material world should probably wait, but that doesn’t mean you can’t begin anew on an emotional level. 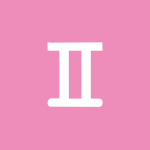 Cancer Monthly Horoscope Summary for October 2018: October is a strong month for spiritual healing, home and family, and creative expression, dear Cancer. The New Moon on the 8th brings new energy for home improvements, although this is not an ideal period for major changes or brand new beginnings with Venus retrograde from the 5th forward. Focus on fixing problems and redesigning or organizing rather than new projects. More opportunities to enjoy recreation and creative pastimes emerge this month, especially as October advances, and you’re likely to experiment with brand new entertainment formats. You’ll also attract an admirer or more, but keep in mind that with retrograde Venus, old flames have a way of reappearing or that’s where you’re focused. Review the past but also aim to put it behind you. There can be a strong focus on settling in and seeking out peace this month, but also a building theme of attention to self-expression. Financial matters, mainly revolving around shared resources or debts, can heat up now, and while this isn’t anything new, this time it’s about getting to resolutions. Mars is finally picking up speed in your intimacy sector, turning your attention to the hidden elements of your life. While your emotional life is a little more complicated than usual, you’re also braver and more confident about dealing with the trickier areas. The New Moon on the 8th can prompt a domestic makeover of sorts, or it may encourage you to turn over a new leaf in your personal life. This lunation brings the energy and motivation necessary to start fresh. While there is quite a bit of reflective energy with you this month, not only due to Mars’ transit of a hidden sector of your solar chart, but also because of retrograde Venus, there is nevertheless some radiant energy with you for creative and romantic pursuits, particularly in the last week of October. Keep in mind that Jupiter is completing the final weeks of its transit of your sector of joy, and before it moves on, is hooking into a lovely aspect with Mercury and Chiron. You are looking especially good from October 27-31, and your sincerity is appreciated and admired. Sound energy is with you for expanding your horizons through creative endeavors, too. Love can be magical, and your powers of attraction run high. With Mars simmering away in your intimacy sector, there are times when it does battle with bodies in your sector of fun and games, most notably on the 10th and 19th. Around these dates, watch for impulsive, reactive, and impatient moves. Sudden turn-ons and turn-offs are likely! There can be possessive feelings, too, but these can be a bit confused due to conflicting needs and wants. From the 5th forward and until mid-November, there can be some rethinking of matters. This is a time to re-assess your goals on social, romantic, or creative levels due to a Venus retrograde that encourages a look back before charging ahead. There is much to discover about the past that can benefit you now and in the future. You may be struggling with a desire to take a few risks and the need to stick with safe bets, as both ends of the pole are compelling. Excesses in either direction should be curbed, and a compromise should be sought. From the 25-26, you’ll be reorienting yourself on a new course emotionally speaking as the Sun shines its light on your past, particularly relating to romantic relationships or opportunities gone by. This can motivate you to make things better going forward with a new set of expectations and redefined needs. The insight gained now makes it so much easier to seek out those people and things that truly fit your life as it stands now for your evolved and evolving self. This is an excellent time to reevaluate critical areas of your life, mainly related to creativity, hobbies, romance, and friendship, in terms of whether or not they genuinely fulfill you. Some of you can reconnect with an old love or friend, or you may be learning something new about a previous relationship. The Full Moon on the 24th can stimulate an epiphany. After becoming wrapped up in your personal life, you may realize the need to reach out to others and remind them that they matter to you. This is a time to enjoy new revelations and share your findings with people you care about. 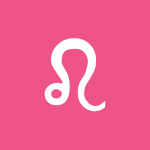 October 2018 Leo Monthly Horoscope Summary: With much emphasis on communications, learning, as well as social and family interactions, dear Leo, October should be a busy, engaging month. You are more communicative, involved, and sociable with Mars back on track and picking up the pace in your partnership zone and the New Moon on the 8th happening in your communications sector. The desire to express yourself and share your experiences with others is powerful this month! Making a fresh start with a neighbor or sibling is possible, too, but keep in mind that with Venus retrograde from the 5th onward, not all relationships are straightforward. Channel your energy into constructive work around the house, particularly independent tasks. Since May, Mars has been moving sluggishly or backward but is now getting back to its regular speed. You may be focusing less on technical challenges and more on the people in your life in October. Mind you, there can be times this month when you feel others are in the driver’s seat. However, consider that you may need a bit of a break from being in charge. As long as you trust a partner, you may benefit from enjoying the view. With Mars prominent and working at full speed and Venus retrograde and in the background of your solar chart, however, it’s best to watch for rubbing people the wrong way or an impatient approach that doesn’t do you any favors. Impulsiveness may be a problem especially around the 10th and 19th, and timing can be a little off. 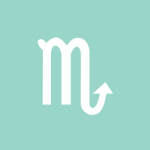 While Mars in your partnership sector can pull up some needed confrontations with others, with Venus retrograde concurrently, there can be tact and decorum missing, leading to problems that may not resolve for some time. Be watchful of this tendency and protect what’s most precious to you. If a lover seems distant or a love affair appears to stall this month, it might only mean that it’s time to slow down and process things. Take things one day at a time. Relationships with family or comfort in the home can meet with complications during this retrograde cycle that lasts until November 16th. Regarding home and family, reviving old projects or returning to previous conditions may be beneficial this month. Channeling your energies into a domestic project that will truly make life easier, happier, or more pleasing can be particularly useful to you now, especially if it’s a work in progress to which you are returning. What you find valuable and worth your while can change significantly with Venus retrograde. It’s a fine time for looking at something from an entirely different perspective, particularly related to family relationships and projects or studies. Especially with insights gained on the 15th and 25th, you’ll be in a better position to understand your needs and values. Reconnecting ties with people you love may prove particularly satisfying now. Balancing your personal and professional/public life can be challenging but necessary around the Full Moon on the 24th. This lunation may bring the culmination of a significant work project or a scurry of activity on the job or in your public life as it happens at the top of your solar chart. Events occur that highlight your responsibilities in your professional life. With Uranus involved, too, this can be a time of sudden movement and surprises. Jupiter is spending its final weeks in your solar fourth house before it moves on officially on November 9th. Before Jupiter goes, it’s forming a lovely aspect with Chiron, and Mercury hooks into this energy in the last few days of October. Excellent opportunities can arise to bond with those closest to your heart. You may be finding peace with your past in a meaningful way. It makes sense to jump on opportunities to improve your domestic life now or enjoy some good news. Opportunities for love and friendship may emerge close to home. 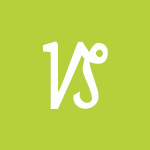 October 2018 Virgo Monthly Horoscope Summary: You’re taking more interest in your lifestyle, finances, personal possessions, comfort levels, and personal interests this month, dear Virgo. It’s an excellent period for reviewing expenses and making budgets. While you could feel a pinch or there can be some need for reassessing money matters, you’re ready to take charge. You have extra energy for challenging mental tasks or for pouring energy into your work and the pursuit of health and wellness. With Venus retrograde from the 5th, relationships may not be exceptionally straightforward, or fellow students or acquaintances may not be overtly helpful just for now, but working independently suits you just fine in October. After many months of Mars moving either backward or sluggishly, it’s now functioning entirely up to par and is currently transiting your work and health sector. This transit fires you up to take care of your daily affairs, handle chores and routines, and charge through your work like a boss. You can be gung-ho about a new health program or a work idea or project. Also now, a New Moon on the 8th motivates you to take charge of your financial affairs. As such, you have a real practical bent in October, and it suits you well! While the pressure is on, you may welcome this change of pace. You feel more passion and vigor for taking care of business. Attention to detail on the job can be in focus and quite consuming, and may very well serve as a good distraction from social ups and downs. You can work more extended hours than usual, or push harder and more energetically in health and fitness routines, and these can be areas of much satisfaction and accomplishment. This focus can help you clear your head if feelings are up and down. Pacing yourself is vital in other life departments, however. While building and developing projects can be in focus, as October advances, increasingly you’ll be turning more attention to studies, learning, connecting, or personal interests and projects. There can be a chance to redo a significant project or to return to a project or research that once seemed to be a lost cause. It’s a good month for looking to the past for inspiration and gaining insight into what may work for you in the future, particularly as this relates to learning and mental interests. Second chances are gifts now. Some of your interests are waning, but it’s better to treat this as a break or pause rather than an ending, unless, of course, you’re truly ready to move on. You are seeing past relationships and expectations in a different light and redefining what it is you now want and need from your connections and your studies. Perhaps you now recognize a line of study, personal interest, or another calling that’s a better fit for you. You might learn something new that gives you a little more clarity on a matter that has confused or haunted you. Some of you are drawn to a past project or study with renewed interest, or you could discover that a current course of study or venture is no longer fulfilling you. Jupiter is finishing the last weeks of its thirteen-month transit of your communications sector, and at the tail-end of October, is connecting beautifully with your ruler, Mercury, and Chiron. This may very well open up doors for you to exchange ideas, learn new things, and connect with others. It can be an inspired time! You might hear something of great use to you, or that boosts your understanding, and what you learn now can be of great value to you going forward. October 2018 Monthly Horoscope Summary for Libra: This is a personal power month for you, dear Libra, and the desire to make personal changes is great. You’re speaking your mind, and your clearer communications skills in the first days of October serve you well. Even so, from the 5th forward, your ruler, Venus, is retrograde, and others are not always picking up the right signals from you, so be as clear as you can in your dealings. With this cycle, problems with purchases made–or changes of mind when it comes to spending–are very likely. You might think twice about making significant investments or purchases, particularly of comfort or luxury items. While Venus is looking back, Mars is picking up speed and in harmony with your sign, and you have good energy with you for creative endeavors, hobbies, and romance. This transit helps keep things moving along fairly well especially considering Venus’ retrograde. Creative projects and romantic relationships gain some speed and stalled or unfinished projects may resume now. You can feel back on track when it comes to dating, hobbies, or creative pursuits. This can be an optimistic period, in fact. You’re ardent in your pursuit of what you want. The New Moon on the 8th is all about you. Yes, Venus is retrograde, but this is the start of a new personal year, and changes are imminent. The power to make changes is with you now, although this may not be without a few obstacles or a bit of an internal fight. There can be some disconnects around the 10th–try not to succumb to feelings of pressure and impatience. Keep a cool head, especially regarding money, possessions, and valuables. Worry has no value unless it’s just enough to prompt you to make meaningful changes and to take reasonable precautions. October is also a time for reassessing your finances, dependencies, or independence needs. It’s not an ideal period for new commitments. If you do make a significant outlay, you might later regret it or return it. It’s better to hold on to your money at the moment if you can. The Venus retrograde beginning on the 5th starts off in your finances sector and, at the tail-end of the month, moves back into your sign. This points to the reconsidering of recent ventures and for some, a waiting game with money (and perhaps in love as well). It’s time for review, not for making important decisions about your assets. Avoid an abrupt, impatient, or defensive manner for best results. These are things that most commonly trip people up during retrograde Venus cycles. On the flip side, you can be looking at money matters from a new and helpful perspective and motivation to turn over a new leaf regarding finances and relationship expectations can be strong. Turn your attention to things you already have and think about how you can rework or recycle them for best results. This is a good time for finding the motivation and determination to complete a project, particularly business-related, that you’ve put on a shelf. You may be hesitant to dig down too deeply or open up about personal matters with others this month. People can’t seem to touch deeper matters with you. New information about an old problem can emerge, or you may talk or think yourself to the point of a whole new perspective on business, money matters, or relationships. You might get a second chance or look at a project, purchase, or relationship. Some might find a lost item of value around the 15th or 25th. Insight gained now helps you begin anew and clears the slate for newly defined goals. You might find it easier than usual to let go of personal possessions or other attachments that are cluttering your life, both literally and figuratively speaking. The Full Moon on the 24th is likely to bring unacknowledged feelings to the surface. There can be a turning point or announcement in a relationship now. Jupiter is on its last leg of its journey through your solar second house, and aligns with Mercury this month, presenting opportunities to make the most of this beneficial transit before it leaves, not to return for another twelve years. Look for ways to improve your feelings of comfort, security, and abundance–opportunities to do so are likely to abound now. An income boost is possible, particularly around the 28-29, but this can just as easily manifest as a powerful idea for improvement. October 2018 Monthly Horoscope Summary: October is a strong month for getting your bearings, dear Scorpio, with planets transiting your privacy sector and Venus in your sign retrograde from the 5th forward. It’s true that you can be keeping people at an emotional distance this month, but you’re in special need of time to reflect. For some of you, a past love may reappear, or you could be facing some feelings of destiny or fate in your partnerships. Others have your interests in mind, however complicated feelings can be at this time. You’re also in the last stretch of Jupiter’s transit of your sign, and it’s a good time to crystallize some of this transit’s fabulous messages. Ideally, you’re more confident and have explored more personal interests in the past year. Even though Venus is retrograde most of October, the month brings some sweet energy into your life with two planets, Venus and Jupiter, that have earned the title “Benefic” in your sign, adding a nice layer of protection to your life. Mercury is also in your sign from the 9th forward, and the Sun moves into Scorpio on the 23rd, so you have many cosmic bodies in your corner. As such, there is a significant focus on your personality this month. Your more elegant and appealing qualities are emphasized. Nevertheless, some important influences are urging you to rest, recoup, and relax this month. The New Moon on the 8th is one such reminder – you may need to tie up some loose ends and find extra time for reflection. Working behind the scenes benefits you. And, Venus’ retrograde affords you a little more time to explore your inner world. With this simultaneous emphasis on your privacy sector and, all month, Mars continues its transit of your home and family sector, a good part of you is a little “hard to get” now even with the extra social attention and admiration you’re receiving. It’s a necessary, healing phase. The rest and privacy you need are yours, although there may be plenty of stimulating dramas playing out around you. Mars is picking up speed, and while there may have been some serious stop-and-go energy in your personal life and with home projects or family in recent months, now you’re back on track and zipping through things quite happily. This sometimes comes at the seeming cost of your independence, but all in all, you’re in good shape for taking charge of matters. Home life can be animated, and family life can demand more of your time. Mind you, Mars forms some tense aspects to planets in your sign, and impatience can be a byproduct, especially around the 10th. Don’t burn yourself out by pushing too hard or expecting instant results. You may need to be extra careful with how you handle touchy situations and people. Keep in mind that there are likely to be delays to deal with this month, but waiting on something or someone can be a blessing in disguise, particularly if you work on editing and refining things as you wait. It’s time to revise your plans and put off new initiatives until you have more confidence in them. Others may not be getting you–perhaps misunderstanding your intentions–for the time being. A partner may be distant. Generally speaking, use October for budgeting rather than buying, resting if you can, and revising plans. Your personality, image, attitude to anything new, initiating qualities, immediate responses to stress, self-identity, and communications are all themes that retrograde Venus touches. Refining and possibly redefining some of these things may be in order. Be aware that you may at times come across aggressively without the explicit help of charming Venus, and consider toning things down for better results both personally and professionally. Others are taking a particular interest in you and could be talking about you quite a bit, especially around the 15th. The Sun in your sign from the 23rd gives you more power and courage. It’s an intense time for considering new goals, intentions, and resolutions. You’ve seen yourself, your relationships, and your experiences in a whole new light which can lead you down new paths. You may be redefining what you want and need from your relationships, and the Full Moon on the 24th, while a bit chaotic, can help you out in this regard. Jupiter is on its last leg of its journey through your sign, which lasts until November 9th, and heads into a fabulous aspect at the end of October. The 28-31 can bring beautiful rewards as your personality shines and people see your value. This is a winning time for attracting others to you through your unique self-expression and vision. 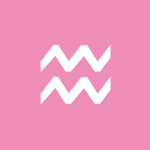 October 2018 Monthly Horoscope Summary for Sagittarius: Teamwork, group activities, and networking are big themes for you this month, dear Sagittarius. As sociable the climate is in October, a lot is going on behind the scenes on an inner level, and this increases further as the month advances. Matters from the past, particularly regarding love and relationships, are cropping up now for review. Love is complicated and sometimes confusing, but you’re ultimately learning about what’s best for you. The 28-31 brings renewed stamina and energy for putting negative elements of your life or defeatist attitudes behind you as Jupiter gets closer to entering your sign. While you’re making connections and friendships this month, there’s a lot of attention turned to the past. There’s no shortage of invitations and things to do; what’s important now is your ability to pick and choose between them. Secrets and whispers delight in the month ahead, and you may willingly make a few sacrifices to be with a special someone or to spend more time alone and away from the hustle and bustle of daily life. Aim to forgive yourself for past mistakes and learn from them. It’s a good idea to sort out your feelings before coming to any concrete decisions or conclusions. Not only are the Sun, Mercury, and Venus in your privacy sector at least some of the month, Jupiter is moving through this sector on its final leg of its transit. This is powerful for tying up loose ends and clearing the decks for new beginnings. Mars spends the entire month in your communications sector and is picking up speed. You may be revisiting projects begun in May and June now with more information and confidence. It’s a good time for getting back into old studies or personal interests. You’re passionate and excited about learning and sharing. As well, your sense of community is strong. The New Moon on the 8th is good for reinvigorating happiness and social goals as well as friendships, although Venus is retrograde from the 5th, and there can be some coolness as people are reassessing their feelings for the time being. Patience is important now. You can feel particularly ardent, impassioned, and motivated to learn, share ideas, and work on pet projects in October. You may come across a little abruptly at times, particularly around the 10th and 19th, but you have a lot going on and much to keep you busy and engaged. When it comes to a belief, idea, or simply what you believe is a fact, you can quickly become impatient with others if they are not catching on to your way of thinking. Venus is retrograde from October 5th to November 16th, signaling a period of reflection. This month, this retrograde happens largely in your privacy sector but will dip back into your social sector in November. You are likely to pull back a little, as you take the time to revise and perhaps question some of your plans. Matters from the past creep up and demand your attention. This is a good month in which to solve old problems and finally lay them to rest. Despite your inclination towards retreat and rest this month, your social agenda is lively in the first few weeks of October. You may not always feel up to these engagements, but you’re in demand now, and you can benefit from some mingling. The key is balance. This month, rushing won’t get you there faster. As well, it’s probably best to keep many of your projects and even your affections on the down-low for now. Tune into your intuition and pay attention to critical spiritual signposts. You can benefit from your associations, but you do need some time to yourself so that you can firm up projects or learning endeavors. Retrograde Venus may bring past loves back into your experience, whether literally or strongly on your brain, but either way, this is about processing. The past illuminates in a meaningful way for you this month, particularly around the 15th and 25th, and the focus is on love and past relating patterns. What happened in the past can be a very tricky area, so tread softly, but consider looking at old matters in new ways. More information could surface about a private issue that will help you make better decisions about the future. For now, process and digest things rather than finalize – that’s what retrograde Venus is about, and this theme is echoed by Jupiter’s last weeks spent in your privacy sector. Jupiter will enter your sign next month, beginning a thirteen-month transit that’s reinvigorating and fresh. Now is the time to clear the path for new beginnings. The 29-31 is particularly strong for finding your joy. You might perform a generous act behind the scenes or anonymously now, and it’s satisfying. It’s also a psychic, intuitive, and visionary time for you. October 2018 Monthly Horoscope for Capricorn: A take-charge, get-noticed energy is with you this month with the New Moon happening at the top of your solar chart on the 8th, dear Capricorn. Others are especially aware of what you’ve accomplished and perhaps what you haven’t achieved, too. This is a time for subtly upping your game. Complicated feelings about a friend are possible this month with Venus retrograde in your solar eleventh house. Social relationships are, at times, perplexing. You may be playing a waiting game, not knowing where you stand, or you could be experiencing ups and downs in your relationships. Mars is picking up speed, which can motivate you to focus on building and developing. This is a good idea now – the month favors building upon projects already in progress. October is likely to bring a less competitive energy into your life, and you’re bound to appreciate the change of pace, although there are times when things may seem stuck. Professional interests and ambitions are active one moment and then chill then next, and the same is true of your personal life. The New Moon on the 8th finds you wanting to turn over a new leaf regarding your reputation or professional experience, but with the ruler of Libra retrograde until November 16th, you may need to take your time on this. Delays can happen, and they can also lead to significant edits. Financial matters might need special handling. Watch for impatience with money. With retrograde Venus, judgment of value may not be up to par, and with Mars in your resources sector, you’re inclined to rush into purchases. A missed opportunity may be frustrating around the 10th, but it can also steer you on a course towards better management of your resources. With Venus retrograde most of October (from the 5th), it’s better to develop current ventures and projects rather than take on new ones. Some complications surrounding friends and lovers are entirely possible this month, but some of you may reconnect with long-lost friends or gain valuable insight into a relationship. You or a friend may be dredging up old issues, or there can be a bit of distance between you and a buddy just for now. You can view this as giving others space to gain perspective rather than keeping a distance. Avoid, if you can, secret involvements, as attractive as they may be with so much up in the air in your life in the affections department. There can be a distinct focus on matters of the past, particularly related to old projects and friends and lovers. New information about old issues can come to light, particularly around the 10th and 25th. You might learn something about–or make contact with–someone from your past. Watch for talking ahead of yourself, though, as your heart may not be ready to talk or know about everything that piques your mind’s curiosity! Jupiter’s travels through your eleventh house, on the other hand, keep you dreaming and planning for the future. You may meet new acquaintances who help you to further your goals, or you could join a new group or association that gives you considerable pleasure and satisfaction. Business endeavors will go more smoothly for you if you recognize the value of the team at this time. Around the Full Moon on the 24th, there can be some drama in your romantic life. A lover, a child, or a creative project needs some attention, and it’s time to sort that out. The 28-31 is brilliant for your social life. You’re appreciated and enjoyed. People are drawn in by your optimism and generosity of spirit. Others might extend kindnesses to you now, and some of you can enjoy new friendships. These are also active, positive days for networking, sharing, and promoting. Jupiter is spending its final weeks in your social sector, and it’s hooking into a beautiful aspect with Chiron in your communications sector before it moves on, bringing up opportunities to connect, learn, and communicate in empowering ways. 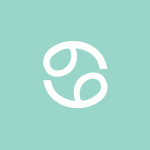 Aquarius Monthly Horoscope Summary for October 2018: Your focus on branching out continues in October, dear Aquarius, although you’re also likely to experience increased visibility and accountability, especially as the month advances. What you do and say has more impact than usual, so be on your best behavior! The New Moon on the 8th is a fantastic boost for your spirit. You may be making a new commitment to learning and studies, but do keep in mind that with Venus retrograde from the 5th, it’s best to take your time with decisions. Pushing can lead to irritating delays. 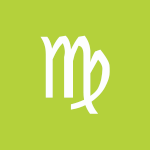 The need to set your own pace is strong this month with Mars in your sign. Mars in your sign in October can undoubtedly keep you looking forward, which is a good thing, but can sometimes encourage you to push faster or harder than is advisable. This can certainly bring about a state of restlessness and discontent at times, which can wear you down if you’re not careful. You might decide instead to work hard on ventures already in place or pour energies into study and learning and strike a compromise. Aim to finish what you started before moving on. Mars moved into your sign in May, but then turned retrograde and retreated, and now that it’s back in your sign and gaining traction, you feel more confident and ready to pursue your goals with gusto. There can be times when this is a little raw with Venus retrograde, especially around the 10th and 19th, but as you get the hang of Mars energy, you’re likely to wear it well. People pussyfooting around can be annoying now, and there’s more than the usual of this kind of behavior in October, but avoid letting it drain you. There can be frustrating attention to the past when it comes to love matters. Venus retrograde from the 5th can point to some slowdowns or complications. These are temporary and ultimately helpful but can serve to frustrate at times. Career or reputation matters could be causing you some concern, but try not to fret over details. Instead, come up with a better game plan. Ambitions run high, but goals may require more time to achieve. Be patient and look for ways to improve the ventures or projects you already have in place rather than taking on something brand new. This is a critical time for reevaluating your projects and goals, and you have an exclusive window into the past that helps you make better decisions for the future. If you’ve been pushing too hard, you’ll realize that you need to pace yourself around the Full Moon on the 24th. Your personal life calls to you, demanding your attention. It’s essential to have a strong sense of what you can and cannot do, not by lowering your standards, but through self-honesty and realism, and the last week of October brings gorgeous energies to help with this. Jupiter is spending its final weeks in your solar tenth house, and before moving on, forms a beautiful aspect to Chiron, lighting up the last days of October. Opportunities for some recognition, a meeting of minds with someone in authority, a significant sale, or another type of boost can emerge now, and the key is a humbly confident sense of what you’re worth. For some, this can be the end of a payment plan or the excitement of a venture that represents you well. You are feeling positive and confident about your talents and your value to others. 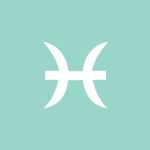 Pisces October 2018 Monthly Horoscope Summary: There is a reserved theme with you this month, dear Pisces, with the New Moon occurring in your intimacy sector on the 8th and Mars charging through your privacy sector. Love is private, intimate, and passionate in the month ahead, and discoveries are rich. You’re observing, editing, refining, and strategizing, and these are perfect activities for the current astrological climate. Despite this introspective focus, key planets are encouraging you to explore new ideas and experiences, especially as October advances. Jupiter is heading to the top of your solar chart but won’t get there until November 9th. In October, Jupiter is finishing up its transit of your spirit sector in style. It’s opening up your mind to new ideas and opening the doors to you for opportunities with promotion, publishing, travel, and education. Mercury, Venus, and the Sun are all spending time in this sector of your solar chart, and these areas are fairly popping. With Mars in your privacy sector all month and Venus retrograde, you’d be wise to focus your energies on tying up loose ends and a work-in-progress rather than brand new beginnings. However, there can be much to enjoy socially at this time. In fact, you may be doing some experimentation now. Someone may take issue with you if you’ve been on the fence about a matter, or if you have been stalling around the 10th, however. You need some time to process feelings and affections. You’re seeking answers from within at the beginning of the month, and you’re making some astute observations as you step back from the action just a little, but watch it closely! It’s a good month for deepening a connection but do prepare yourself for some complications. Travel, legal, or educational plans may not be moving forward at the speed you’d like. With Venus retrograde from the 5th affecting your axis of communication and transportation in October, you may be contending with delays and changes of heart. This Venus retrograde may be a little easier on you than most. For one, in October Venus is traveling in harmony with your sign, and for another, Mars is in the background of your chart for the duration, and you’re not as inclined to come on strong. As such, some of the social flubs that are common with retrograde Venus are not as likely for you this time around. Ideas are so plentiful this month that you can have a difficult time choosing one or two and going with them, leading to a bit of chaos. However, you’d be wise to take the cue from Mars in your privacy sector and avoid pushing too hard. A new perspective can see you redefining some of your beliefs, ideals, goals, and dreams, especially around the 15th and 25th. You might also more clearly see which approaches or expectations you had in the past that sent you along the wrong path. Through conversations or musings, you can gain significant insight into mysteries from your personal history. The Full Moon on the 24th is an eye-opening one and may feel a little hectic, but through a bit of chaos comes enlightenment, or at least a greater understanding of what’s most important to you. The last week of the month is powerful. 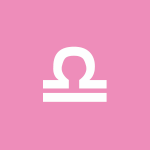 Jupiter is spending its final weeks in your adventure sector, aligns with Mercury, and connects with Chiron in your sign in a beautiful aspect. You’re gearing up for an ambition-fueled year, but for now, you’re capturing your spirit for learning. This is an important time for enthusiasm, creative enterprise, self-expression, and letting go of inhibitions. You’re letting go of the more rigid elements of your personality. You are your biggest selling point right now – your character is shining — but the key is your humble confidence. You can benefit from word of mouth or positive reviews. Take every opportunity to brush up on skills and boost your knowledge now. This can also be a good time for meeting a special friend, possibly through your interests, studies, travels, or adventures. If you know your Ascendant, you can read horoscopes for both your Sun sign and Ascendant. Moon 12° Scorpio 48' 09"